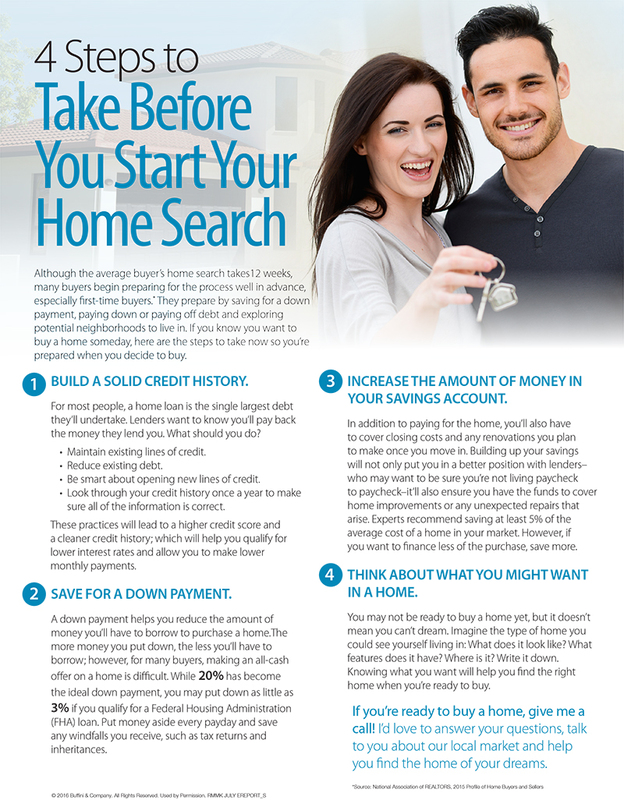 Whether you’re thinking of buying your first home or your third, the buying process can be tricky to navigate. While you may have all the information you could ever dream of at your fingertips, it can be difficult to understand what’s important, and how it applies to you and your situation. That’s why the Move with Maggie Team is happy to be in your corner when you’re thinking of buying a home. This month’s information outlines seven tips to help you navigate homebuying and the real estate market. According to recent research from the National Association of REALTORS®, people move every nine years. Given the tech-savvy age we live in, everything moves faster than ever, so it’s essential to have an experienced real estate professional to help you on the path to finding your new home. The tips offered are sure to improve your understanding of each step, narrow down what you want and clear up any confusion along the way. And if you’re not quite in the position to purchase a home yet, below are four ways to help prepare for your future.